A Funko that is a exclusive to a store, comic-con, Disney park, airline, website, etc. You can theoretically only find an exclusive con at the place it is exclusive to, but plenty of Funko-selling websites or eBayers will gladly sell you an exclusive that otherwise might be impossible to find. Someone who buys a Funko and then resells it at a profit. Some people hate flippers and feel they ruin the hobby or make exclusives hard to acquire. I myself have no problem with them and enjoy engaging in a little bit of flipping myself. If you can buy an exclusive Funko and make a small profit selling it to someone who otherwise would be unable to acquire it how bad is that? If a Funko is, "Flocked," this means it has a texture besides the usual vinyl that makes it feel fuzzy. They also can look a bit different thanks to this texture. "For Sale," and, "For Trade," respectively. People will often engage in the buying, selling, and trading of Funko Pops on the internet. A fancy picture of a Funko, often heavily photo-shopped to look pretty. This usually what is released by the Funko corporation before they share actual pictures of the product in its box in the real world. A Funko that glows in the dark--although for the full effect many people will tell you UV flashlight is needed in a dark room. A very rare or valuable Funko, either due to being an exclusive, old, or just someone's own personal highly sought-after Funko. "In search of," and a term often used in buy, sell, trade groups. "Limited edition," which can mean anything from less than a hundred made to the quantity produced being in the low thousands. Basically, if an exact number is given to indicate how limited a Funko is, it will be popular. Perfect or near-perfect condition of a Funko and/or its box. "New in Box," as in a Funko that has never been removed from its box and is brand-new in its condition, basically another way of saying, "Mint." "Out of Box." There are many people who don't care too much about the boxes Funkos come in and are out of box collectors. An out of box Funko can be worth less with no box reducing the value anywhere from 25% to 50% less generally, but OOB collectors don't mind. After all, they get their grails cheaper that way! When the Funko company is making a Pop they will at times have prototypes, which are bare-bones molds or figures that are limited in nature. People used to not really care about these but they lately have become a relatively hot item. 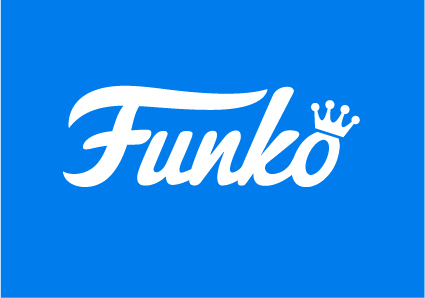 They often are acquired through giveaways from Funko itself, but they can sometimes be spotted at various online merchants or on good ol' eBay. A Funko that no longer is actively being made by the Funko corporation. Basically, a Funko figure that isn't exclusive or limited in nature could theoretically be made forever, but the company will oftentimes quit producing something after awhile and this results in its being, "Vaulted." There are many, many vaulted Funkos that exist and have little value as they were not that popular to begin with, but some of the older vaulted Funkos can demand a hefty price. Oftentimes if someone describes finding a chase or other rare Funko, "In the wild," they mean they saw it just sitting on a store shelf as opposed to ordering it online. Chases and some of the limited edition Funko Pops can be extremely popular so finding one, "In the wild," can be an impressive feat. Now you Know the Lexicon! There are probably other terms I am completely forgetting or don't know the meaning of myself, but the above list should help anyone curious about some of the terms they may have seen.